Dealing with foundation problems and foundation repair can be a huge headache for homeowners. However, if you are able to catch the small issues that you may be having with your foundation before they turn into bigger issues, you can save yourself time and money. Before you call a company to have them provide you with an estimate for a pier and beam foundation repair near San Antonio, take a look around your home for these signs of a foundation problem. Doors in your home don’t latch properly or won’t close all the way. If your foundation has shifted over time, it will make it difficult for you to close some doors in your home. When a shift takes place, it throws off the alignment of doors so that they don’t line up properly anymore. This is one of the easiest ways to tell that you need to have foundation repair done. Cracks begin to appear over the doorways and windows in your home. Have you started to see cracks randomly appearing over doorways and windows? It’s not because you shut them too hard or anything like that. 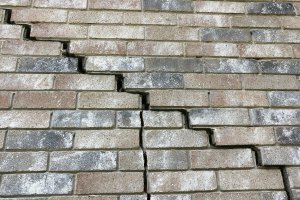 Rather, these cracks are likely appearing because of the foundation of your home. If you notice them getting worse over time, you should call a foundation company immediately to have a contractor assess your home’s foundation. Tiles that have been placed over a concrete floor crack. If the tiles were just installed and they’re cracking, there’s a chance it’s happening because of installation was not done properly. But if you have had the tiles in place for awhile now and they’re cracking, it could be a sign that your foundation is shifting . Windows no longer open and close as easily as they once did. Much like your doorways, your windows will be affected quite a bit by a shifting foundation. If they no longer close easily or, worse, they stick and won’t budge more often than not, you likely have a foundation issue. You should speak with a contractor and have him or her take a closer look at the problem.